A few weeks ago, the University of Sussex hosted the third annual Sussex Kindness Symposium in order to celebrate World Kindness Day. 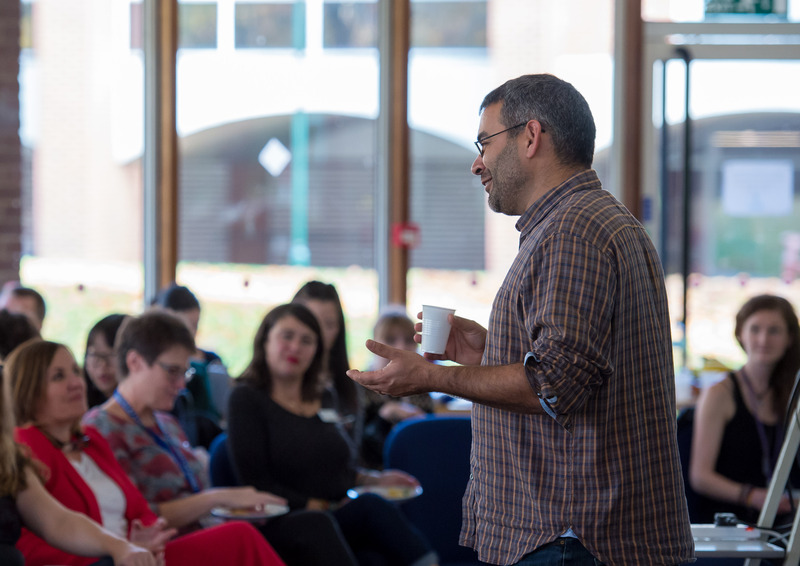 The event was organised by Prof. Robin Banerjee from the School of Psychology, funded by Kindness UK as part of the Kindness UK Doctoral Conference Award, and featured kindness-related work from across the university and beyond. Following an invited keynote presentation by Dr Oliver Scott Curry from University of Oxford, there was an interactive poster workshop, highlighting a number of research projects from across campus that are working to illuminate, evaluate and/or promote kindness. The symposium also included a panel discussion of how staff and students at the University of Sussex can promote (or are already promoting) kindness on campus. The event was a massive success, attracting staff and students from a wide range of academic disciplines, as well as staff members from professional services and senior leadership teams. One thing that truly stood out was the multidisciplinary and diverse nature of the event. Contrary to the traditional academic symposium, the day was not dominated by jargon-heavy lectures but instead combined scientific talks with visual displays of research findings, interactive panel discussions, and non-academic sessions. The day began with the whole room embracing a guided loving-kindness meditation, led by Chris McDermott our Lead Chaplain. This was a real highlight of the day and set the tone for the rest of the event. It demonstrated one of the many ways that kindness has been used in the real world to promote well-being and this thread of kindness, meditation, and well-being was woven throughout the day. For instance, self-compassion (a core aspect of loving-kindness meditation) was highlighted by Tamara Leeuwerik (School of Psychology) during the poster workshop as a useful treatment for individuals with obsessive compulsive disorder. 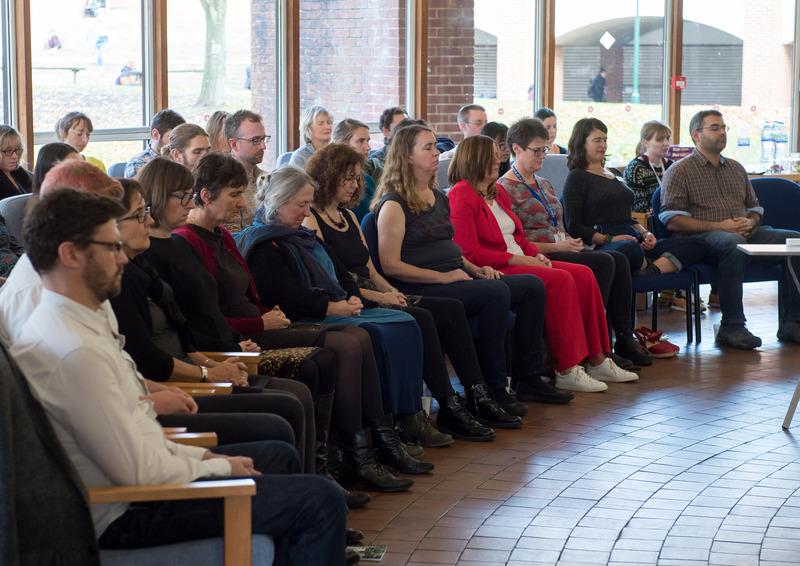 Chris provides guided meditations for Sussex staff and students every week and so, this also showcased one of the current initiatives on campus that works to promote and illuminate kindness and well-being in the university community. The theme of ‘Kindness at Sussex’ was re-visited at the end of the event. A panel including Professor Kelly Coate, the pro-vice chancellor for education and students, Professor Clive Webb who is addressing staff mental health, Debora Green, Director of Well-being, and Sara Hinchliffe from the Student and Academic Administration Transformation (SAAT) team, discussed the ways that Sussex is working to promote kindness on campus. The interactive discussion began to unpick the challenges of enacting kindnesses within organisational systems that are dominated by rules, regulations, professionalism and performance targets. There were discussions on how to incorporate kindness within professional interactions and how to boost the community cohesion of staff and students for a kinder culture, a topic also highlighted in Alessia Goglio’s research poster on the socio-contextual factors that might influence kindness on campus. The panel also stressed the importance of caring for staff mental health and highlighted the need to incorporate this within staff support services. This discussion is just the beginning, but it was promising to see a diverse group of staff committed to promote — and overcome the barriers to — kindness on campus. Alongside the attention given to organisational practices, the event succeeded in showcasing a whole host of interesting research findings and academic discussion, from a wide range of disciplines including law, sociology, anthropology, psychology, and social work. 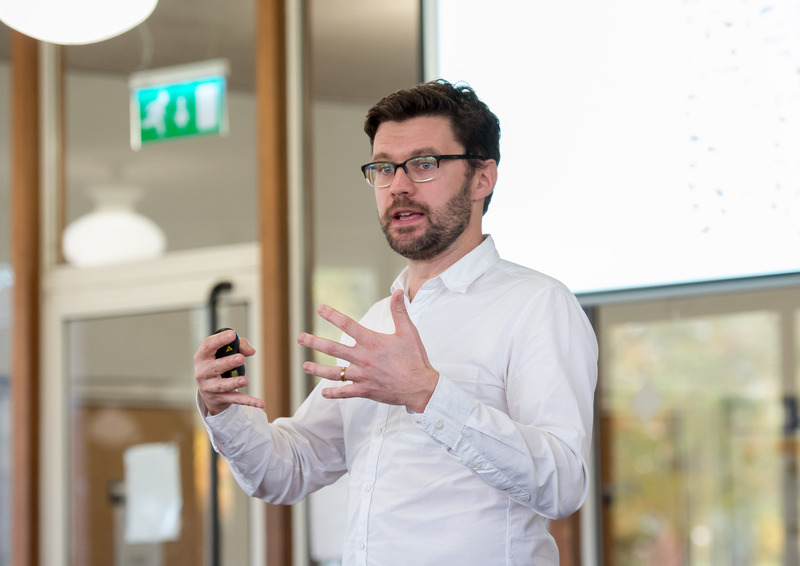 Dr Oliver Scott Curry, Director of the Oxford Morals Project, at the Institute of Cognitive and Evolutionary Anthropology, University of Oxford provided a thought-provoking keynote talk on the nature, content and structure of human morality. He explained why we are kind, from an evolutionary perspective, and then went on to show that kindness has positive effects on a giver’s well-being. The take home message was that we are wired to be kind and that people are ‘happy to help’. This message also came through during the poster workshop, where a selection of psychology posters demonstrated the positive effects of being kind on happiness and well-being, from neuroscience (Jo Cutler), social-developmental (Jess Cotney) and clinical (Tamara Leeurwerik) perspectives. The poster workshop also focussed on the role of kindness in building trustful social work interactions with children (Prof. Michelle Lefevre, School of Education and Social Work), the way that kindness may influence collective action for social change (Jolyon Miles-Wilson, School of Psychology), and whether kindness has a place in human rights protection (Xue Zhang, School of Law) and citizen aid (Dr Meike Fechter, School of Global Studies). The poster workshop also celebrated three PhD students who received the Kindness UK Doctoral Conference Award 2018, a university initiative designed to promote kindness in partnership with Kindness UK. All three winners, Tamara Leeuwerik, Xue Zhang and Ishrat Khan were supported to present their research at an international conference. The Sussex Kindness Symposium was part of a larger initiative to conduct kindness-based research on campus. An interdisciplinary group of researchers, funded by Kindness UK, have come together to plan research that seeks to illuminate, promote, or understand kindness. The first of these projects is just beginning, with Prof. Robin Banerjee and Jess Cotney (School of Psychology) leading a qualitative study on kindness within public services. As part of this research, they will be interviewing staff and students about kindness on campus. If you would like to find out more about Kindness at Sussex, you can follow us on Twitter: @SussexKindness or email Jess, J.Cotney@sussex.ac.uk, to be added to the Sussex Kindness mailing list.